Click the button below to add the Red Pepper Hot Sauce to your wish list. 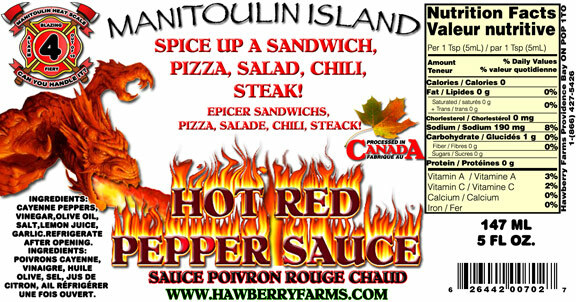 Spice up a sandwich, pizza, salad, chili, or steak. Simply put, one of the best hot sauces I've ever had. Lends itself well to meshing in a variety of dishes, and is just the right amount of hot to flavour. Looking for something to add flavour that won't make your family feel like you're trying to burn a hole in their tongues. Then look no further! I LOVE hot sauces. Although I do not find this hot sauce to be very hot I find the flavor to be exceptional . I find it enhances most dishes I put it on. Buy case lots you don't want to run out.